New to Asutosh College, always hungry or simply work around Hazra area? Follow this student’s guide to eating on a budget near the college. In spite of the size, this is one of the most popular (and cheap) cafés in the city. The food is delicious and portions generous. The chicken nachos are loaded with olives, mayo and shredded chicken (for INR 120, they are a steal). If you have sweet tooth, do not miss their loaded plate of two big, fluffy chocolate pancakes, smothered in hot chocolate sauce just for INR 95! This small stall bang opposite the metro gate and Jatin Das Park entrance is pretty famous with students because of they serve the cheesiest, yummiest sandwiches with two types of chutney and sauce! And prices start from INR 25. All their ingredients are fresh, and they reasonably good hygiene levels. Their most popular item is the corn cheese sandwich. This small 15-seater has opened recently at the back of the college where Denzong Kitchen used to be earlier. Pot Stickers has excellent Chinese food at affordable prices. Try their noodle dishes including the thukpa, as they serve one of the slurrpiest, most well seasoned bowls ever. The restaurant has two outlets, this one being just beside Pot Stickers, once you take a right. The other one is in Behala. Honestly, we wouldn’t say this place is the most hygienic (even though it’s air-conditioned and has 2 floors), but the food here is pretty good. It’s not as cheap as the others, but it’s still moderately priced. We recommend going for the biryani here, instead of their Chinese. Is the heat killing or what? It’s important that we stay hydrated and this area is loaded with juice stalls. Try the classic nimbu paani and fruit juices from the small stalls in front of the college main gate. The most popular one is Pandit Sandwich stall – you get both sandwiches and drinks to go with. If you’re a Calcuttan by heart, you’ll know how famous Sri Hari’s kochuri tarkari is. The taste is very simple, non-spicy and authentic Bangali. 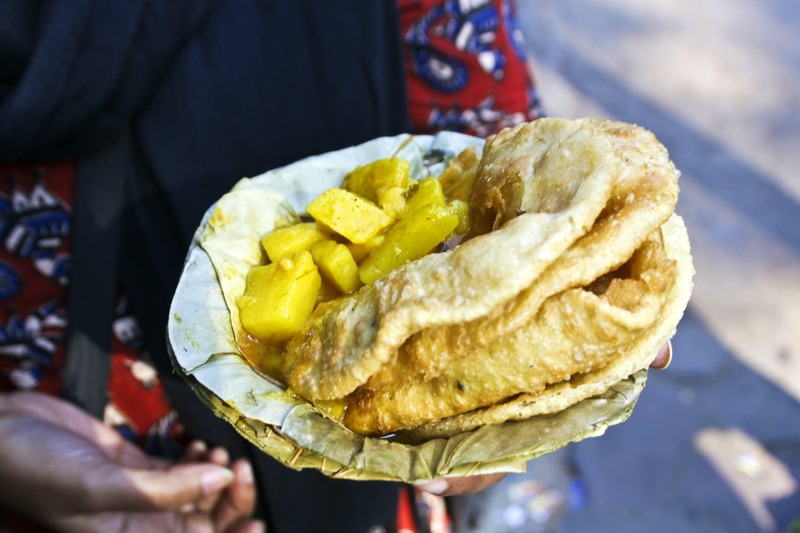 Sit down at this old structured non-AC eatery to get the feel of true Bangaliana while gorging on sumptuous kochuris and chai. Denzong has some of the best momos in town and spicy noodles and fried rice. This too, is a small non-AC eatery, but the food is both great in taste and good in quantity. Just want to grab a cup of coffee and perhaps, a sandwich or cake to go with it? hit up the Cafe Coffee Day outlet right beside the college – a favourite hangout place for students.